Steve Hecht is a businessman, writer, and film producer, born and raised in New York. He has lived and worked in Guatemala since 1972. He holds a Bachelor of Arts in Economics and a Master of Business Administration in Banking and Finance, both from Columbia University. He has worked on development projects in Guatemala to help the country leave its underdeveloped state and reach its great potential. Realizing the misconceptions prevalent about Guatemala and Latin America in the outside world, he has written for the Daily Caller, Frontpage Mag, New English Review, PanAm Post, and PJ Media and appeared as a guest on national American media programs, including the Lars Larson show. Steve’s reporting has included meeting with coyotes, the human smugglers who have ferried millions of illegal immigrants into the United States via Guatemala’s 530-mile border with Mexico. Fergus Hodgson is the chief executive of Antigua International, a consulting firm that connects the Americas. He is also the roving editor of Gold Newsletter in Louisiana, a research fellow with the Tax Revolution Institute in Washington, DC, and an economic consultant with the Fraser Institute in Canada. Previously, he was the editor in chief of the PanAm Post and director of fiscal policy studies with the John Locke Foundation in North Carolina. He has studied economics at Boston University, political science at the University of Waikato, New Zealand, and Cuban history at the University of Miami. 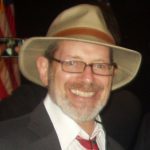 His articles have appeared in online outlets such as the American Conservative, Daily Caller, Fox News, and LewRockwell.com, and in dailies such as the Charlotte Observer, Cleveland Plain Dealer, Sacramento Bee, and Washington Times.